A place to share your projects, see what others have made, support one another, and even enter a yarn giveaway. 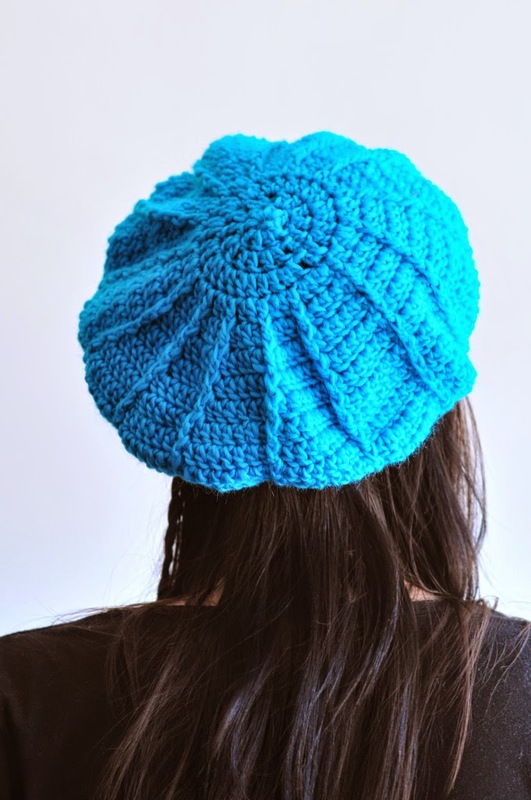 Isn't the crocheted Cable Beret (above) adorable? 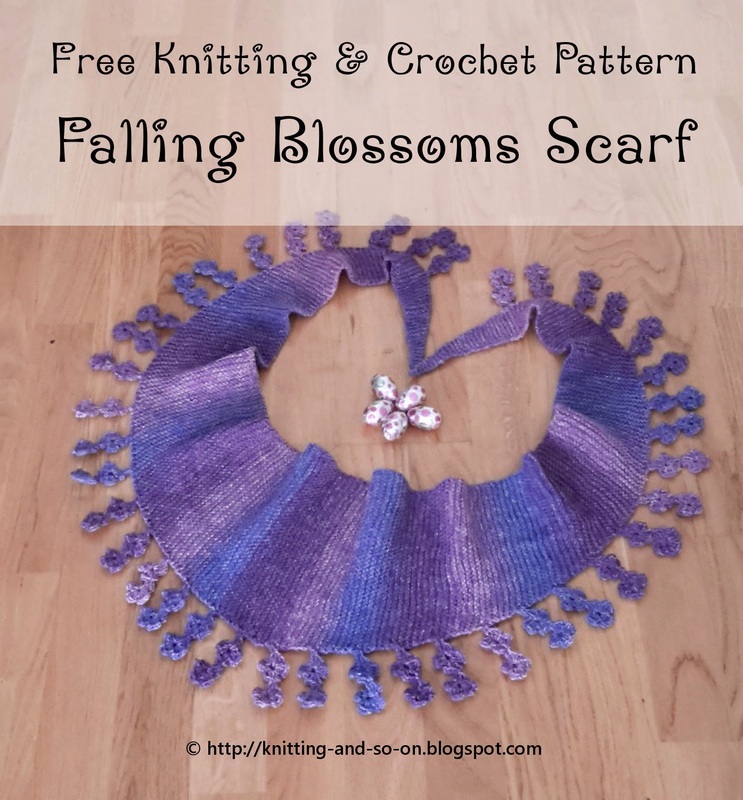 The Falling Blossoms Scarf (below) is a very nifty project. It's beautiful, but it's especially unique because it requires both crochet and knitting skills. How cool is that? Both of these patterns are free, so make sure you add them to your to do list! Check out Alexandra's post to see the most clicked links from last week! Do you remember the Buttons & Things giveaway from a few weeks ago? They have such fun pins/magnets. They really are great. Also, make an order before April 9th and use the code PHILWIFE15 to take a $1 off! 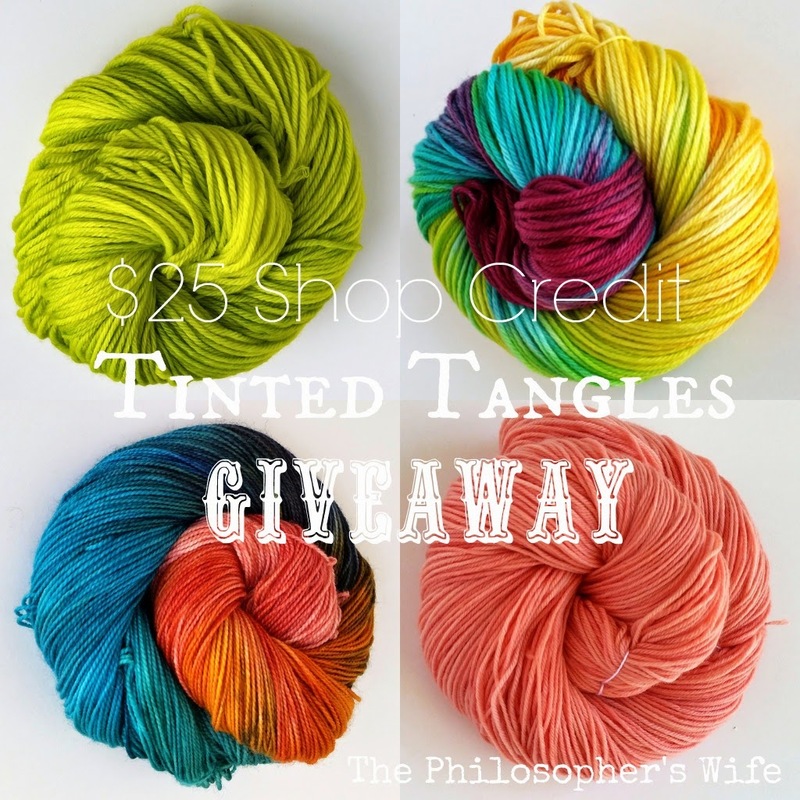 Have you heard of Tinted Tangles? 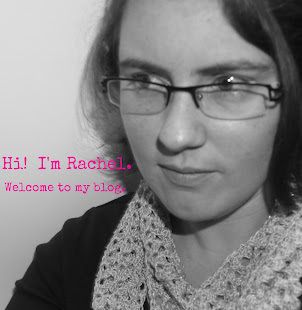 Krysta is the brains and talent behind this awesome little yarn shop. Each skein is imbued with its beautiful color in her kitchen. I think my favorite line in her entire bio is "I am just a girl trying to pursue a dream job". I'm super excited that she is sponsoring a $25 shop credit giveaway! I also will be reviewing a skein of her yarn, so be sure to be on the look out for that! Details and Important Information: Must be 18+ to enter. US only. Void where prohibited. Winner must respond to my email within 48 hours or a new winner will be chosen. Social media is not affiliated with this giveaway. The sponsor is responsible for prize fulfillment. A quick note to my international friends: I know many of you are disappointed that these giveaways are limited to US only. The problem is that there are hundreds of rules and laws regarding how giveaways are run. It can be very easy to accidentally break the law when international policy comes into play. I simply wish to keep everything as legal as possible, and for now at least that means limiting these giveaways to US entrants. 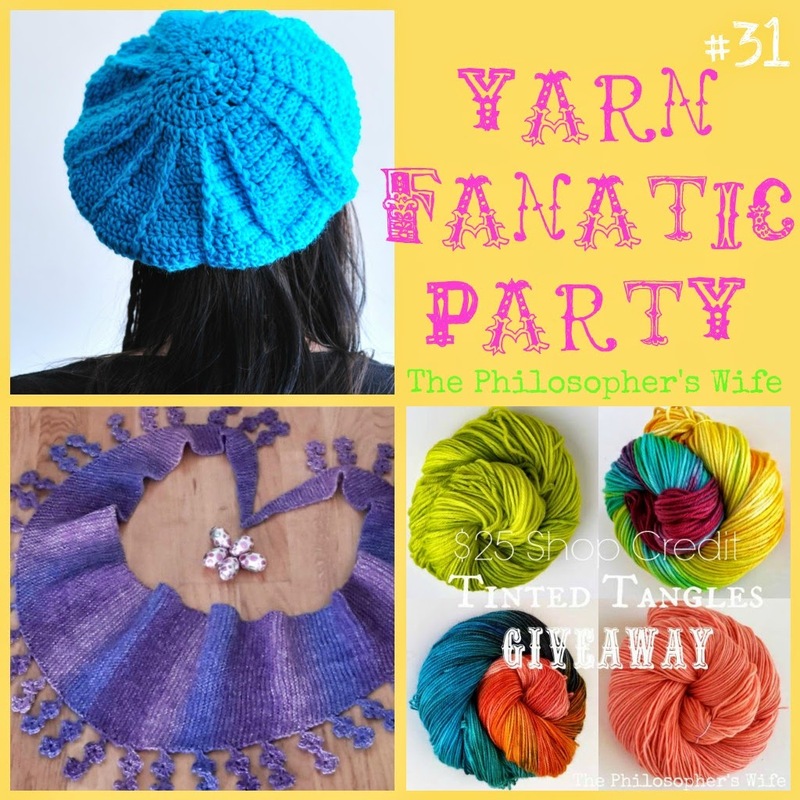 I do hope that you still participate in these Yarn Fanatic Parties and that someday there might be a giveaway that you can enter! Thanks for the fun party Rachel. I hope you have a nice day and week. Thanks for the lovely party and for featuring my scarf! Ooh. I love the Tangara Seldon yarn. Gorgeous! Thanks for the chance to win! This yarn looks so plush and soft that I just want to hold it! I love the April Color Crush! All these yarns are so beautiful it's hard to pick just one! I would start with a scarf made of "cold heart" because those are the thyroid cancer colors. The colors of the yarn are so gorgeous! I think my favorites are Dusk and Buddleia, though the Blackberry Spinning Wool Blend is probably my favorite color of all. I love the GALAXY sock yarn! Love Cold Heart and Heartbeat. Beautiful color combos. I like the Easter Egg, love the colors. I love the bonfire color yarn!